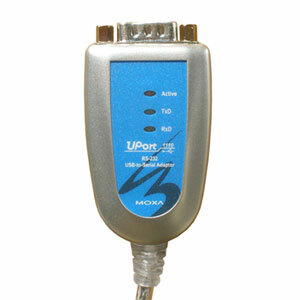 As an authorized MOXA reseller we are happy to present the UPort 1110 which is a 1-port USB to serial RS232 serial adapter. The MOXA brand is synonymous with high reliability and quality so we can highly recommend this adapter for most mission critical server environments, factory automation and complex applications or simply if you want a very reliable and high performance adapter. The price is high but if you want the absolute top of the line adapter then its worth it. 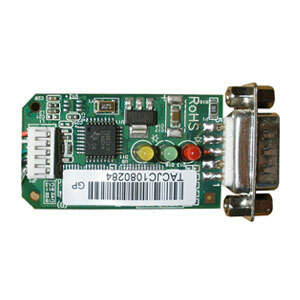 One reason why this USB to serial adapter is so highly appraised is that it is designed around the TUSB3410 processor chip from Texas Instruments which features an integrated 8052 microcontroller, which results in high reliability and several advanced and adjustable port features. 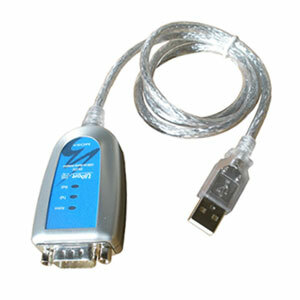 As most of our other adapters the UPort 1110 USB to serial adapter is compatible with most versions of Windows including Server 2003, 2008 and 2012 versions, in both 32 and 64-bit versions. Linux and Android is also supported. After the included drivers has been installed a virtual COM port will show up in your computer's Device Manager. 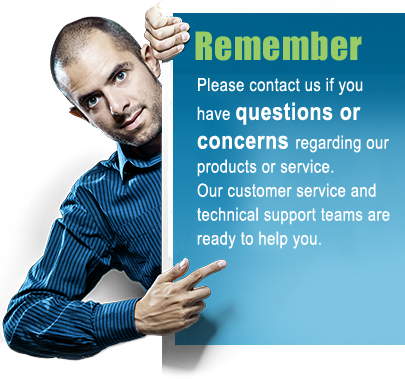 This virtual COM port can be accessed as if it was a standard built-in COM port. Several port parameters such as baud rate, flow control and data bits can be adjusted via the drivers. More advanced parameters such as Fast Flush and port type can also be set through the drivers. Another interesting feature is called "Fixed-base COM Mode" which allows users to set a specific beginning COM port number. This can be useful if you use multiple USB to serial adapters within the same computer and want to control which COM port number is assigned to new adapters. We should also mention that this USB to serial adapter has built-in 15 KV ESD electrostatic protection which protects your data and the adapter itself against electrostatic electricity.